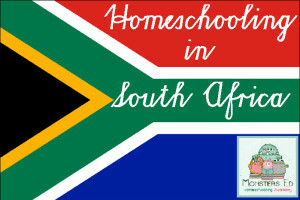 Over the past few months, I’ve had numerous families come to me asking about Homeschooling in South Africa, how we do it and the registration legalities in South Africa surrounding Homeschooling. There are many different types of homeschooling styles. Through trial and error, we now use the School-at-home style for the older 2, Koko and Fifi. The children, and I, are routine sensitive, so it works for our family. I use the Montessori Style with Pixie, because that’s what works for her. Finding a schooling style that suits you can be time consuming, but persevere, once you find your “groove,” you’ll know. Each child learns differently and homeschooling allows you to tailor make schooling to suit each child. Although every homeschool is unique, certain homeschooling styles and approaches have become very popular. Most homeschoolers do not follow one style or method exactly. Instead, they select the ideas and suggestions that fit their family and eventually end up with a method all their own. It may take some time to develop your own routine and you may discover that you start out more structured in the beginning and become more flexible and relaxed as time goes on. Remember, there is no right or wrong way to homeschool. Every family is unique, so find the homeschooling method that works best for you and your children. Some children prefer structure and learn best when they are told what to do, others learn best on their own. Some children do their best work around the kitchen table, and others excel when they are out-of-doors. The goal for the homeschooling parents is to identify how, when and what their child learns best and to adapt their teaching style to their child. School-at-Home is the style most often portrayed in the media because it is so easy to understand and can be accompanied by a photo of children studying around the kitchen table. This is also the most expensive method and the style with the highest burnout rate. Most families who follow the school-at-home approach purchase boxed curriculum that comes with textbooks, study schedules, grades and record keeping. Some families use the school-at-home approach, but make up their own lesson plans and find their own learning materials. The advantage of this style is that families know exactly what to teach and when to teach it. That can be a comfort when you are just starting out. The disadvantage is that this method requires much more work on the part of the teacher/parent and the lessons are not as much fun for the children. 8-9:00 a.m. Children change clothes, tidy house and have breakfast. 9-10:00 a.m. Reading (using spelling books, writing assignments, and free reading). 10-10:30 a.m. Math (using a text book and work book). 10:30-11:00 a.m. History on Monday/Wednesday (using a text book), Science on Tuesday (using a text book that includes occasional experiments), and Geography on Thursday (using a work book). 11-12:00 noon Electives (usually a foreign language audio program, an art course, or another elective that was included in the curriculum). “Relaxed” or “Eclectic” homeschooling is the method used most often by homeschoolers. Basically, eclectic homeschoolers use a little of this and a little of that, using workbooks for math, reading, and spelling, and taking an unschooling approach for the other subjects. For the family who practices “relaxed” or eclectic homeschooling, mornings are often used for more formal, “have to” work, and afternoons are used for hobbies and other special projects. There are no specific times set up for each subject, but instead the child is expected to meet certain educational goals. For help, the eclectic homeschooler may rely on regular classroom standards for their child’s grade level (for example, studying multiplication in the 2nd grade, California missions in the 4th grade, and U.S. history in the 9th grade). They may also use standardized tests to measure their child’s progress. Reading: Read one chapter a day from a book the child has chosen. The parent will also often read challenging books to the children at night, like Jane Eyre, Phantom of the Opera, The Three Musketeers, and other classic children’s books. Writing: Eclectic families usually center their writing around journals, essays, letters to friends and the occasional report. Some families also participate in a “young writers” club, available through their support group. Math: Each child will have the math materials that best suit their learning style. One child may use math software, one child may use math manipulatives like rods, shapes and counters, another child may use a math textbook. The parent then evaluates the child’s retention by periodically making up a sheet of problems that review all the math concepts the student has learned. Science: The emphasis is on hands-on experiments which the family does at home or through community science classes (like those put on by MadScience.com). History/Geography: The family will use workbooks, software, educational games and historical fiction. Some families also make up time-lines and history notebooks like those used in the Classical and Charlotte Mason approaches. Special Interests: Afternoons are generally spent doing special projects, pursuing hobbies, and participating in community classes and teams like soccer, gymnastics, Boy Scouts and 4-H. This Ted Talk video by a 13 year old homeschooler is an excellent example of Unschooling. He calls it “Hackschooling”. Notice how he does not use one single curriculum. Notice how his learning is based on his interests. Notice how his homeschooling takes place at home, at Starbucks, and out in the community. Pat Montgomery, homeschooling advisor for over 50 years and founder of Clonlara Private Day School, defined unschooling in a speech she made to parents at a homeschooling conference in August 2001, titled: Unschooling: Catch the Spirit. Unschoolers embrace that freedom and believe strongly that learning happens naturally and effortlessly and they trust in their child’s ability to direct their own learning. The advantage to unschooling is that unschooled children have the time and research abilities to become experts in their areas of interest. The disadvantage is that because unschoolers do not follow the typical school schedule, they may not do as well on grade level assessments and may have a difficult time if they re-enter the school system. For help, unschoolers turn to other homeschoolers and to the community. They set up classes and clubs together. They trade private lessons with other homeschoolers. They do not take tests and do not teach to state-mandated standards or schedules. Every unschooler’s schedule is different and will follow the interests of the child for that day. Mornings: Children wake up when they are rested and decide for themselves what they would like to do that day. Some unschooling parents give their children a list of chores to do and suggestions for different activities for the day. Many unschooled children establish goals for themselves and work with their parents to set up a schedule that will help them achieve that goal. Each day will be different. One day, the child may be hungry to learn new spelling words, so they will do spelling first thing in the morning. On another day, the child may be excited to set up a special science experiment and may run to the kitchen first thing to begin their project. Unschooling parents have a tendency to leave educational materials out for their children to “discover”– they may leave the microscope out on the kitchen table, or a new book on the coffee table, or a new cookbook in the kitchen. They direct their children’s learning by stimulating the child’s interest in a particular project or subject. Afternoons: Many unschoolers spend their afternoons out in the community; volunteering at the library, working at a part-time job, or taking private lessons. Unschoolers have a tendency to pursue their interests passionately and in-depth for a time and then move on to their next interest. They also have a tendency to stay up late, engrossed in a good book. The “Classical”approach has existed since the Middle Ages and has produced some of the greatest minds in history. The goal of the classical approach is to teach people how to learn for themselves. The five tools of learning, known as the Trivium, are Reason, Record, Research, Relate and Rhetoric. Younger children begin with the preparing stage, where they learn the three R’s. The grammar stage is next, which emphasizes compositions and collections, and then the dialectic stage, where serious reading, study and research take place. All the tools come together in the Rhetoric stage where communication is the primary focus. For help, homeschoolers following the classical style will read books about this method, find Web sites about classical homeschooling, and possibly join a classical homeschooling support group. 5-6:30 a.m. Parents rise, children rise, showers, dressing, early morning chores. 7:00 a.m. Breakfast, morning family meeting or worship. 8:00 a.m. Daily chores from a pre-determined list. 2) copy work (the student will copy verbatim a written piece, like the Constitution, that is at their level). 3) history notebook and time-line (For the time-line the children keep a running time-line where they can note names of people and events that they are currently studying. The history notebook is laid out by date and children add information from their copy work, photos from their field trip to the Civil War re-enactment, or their entry into the National History Day Competition (www.thehistorynet.com)). 11:30 a.m. Prepare lunch and straighten house. 12:00 noon Lunch and mid-day chores. 1:00 p.m. Naps and quiet time. 2-2:45 p.m. 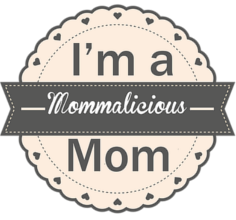 Mother reads aloud (Children may do arts & crafts at the same time). Children finish up their oral narrations. 2:45-4:30 p.m. Finish up academic work from the morning, play time, walks, field trips, library, and volunteering. 4:40-5:00 p.m. Prepare supper, straighten house. 5:00 p.m. Supper and evening chores. 6:30 p.m. Evening family worship (optional). 7-7:45 p.m. Father reads aloud to the family. 7:45-8:30 Family activities (like games). 8:30-9:00 p.m. Prepare for bed. Charlotte Mason method has at its core the belief that children are not mere containers waiting to be filled with knowledge, but persons in their own right deserving of respect. According to Charlotte Mason, children should be given time to play, create, and be involved in real-life situations from which they can learn. Students of the Charlotte Mason method take nature walks, visit art museums, and learn geography, history and literature from “living books.” (Books that make these subjects come alive). For help, homeschoolers using the Charlotte Mason method can gather information from books, web sites and perhaps even create their own Charlotte Mason support group. Students also show what they know, not by taking tests, but via narration and discussion. Popular books on this method include “A Charlotte Mason Education” and “More Charlotte Mason Education,” both by Katherine Levison. Homeschoolers using the Charlotte Mason method strive to keep variety in their schedules. They generally do academics in the morning and try to “rest the child’s mind” by switching between easy and challenging tasks and between active and passive tasks. The Charlotte Mason method stresses the importance of spending lots of time outdoors (usually in the afternoon) and students are encouraged to keep a nature journal. They also look for the most interesting learning materials available and avoid anything boring. Fridays are reserved for field trips. 1-1:20 p.m. Latin or music or art appreciation or poetry or P.E. Afternoons are spent outdoors, enjoying nature. Waldorf method is also used in some homeschools. Waldorf education is based on the work of Rudolf Steiner and stresses the importance of educating the whole childn- body, mind and spirit. In the early grades there is an emphasis on arts and crafts, music and movement, and nature. Older children are taught to develop self-awareness and how to reason things out for themselves. Children in a Waldorf homeschool do not use standard textbooks; instead the children create their own books. Main Lesson: The family spends 45 minutes of focused time on reading and writing. (The family obtains these lessons from a Waldorf curriculum supplier). Free Time: During this time, the parent attends to their normal responsibilities, like household management or perhaps even running a home business, and the child watches and eventually imitates the parent’s actions. In addition, parents provide opportunities for creative play (like puppets, or art, or building projects). Lunch: Children help with the preparation and clean-up. Afternoon Lesson: Science is done twice a week and math is done three times a week. Science lessons involve frequent outings. Reading lessons are also done during this time, reading from a Waldorf Reader for approximately 15 minutes a day. This afternoon session lasts approximately one hour. Free Play: Crafts, imitation activities, and creative play occupy the child until dinner time. Dinner: Children help with preparation and clean-up. Bedtime Ritual: This usually takes one hour. The parent either reads aloud or tells a bedtime story. Montessori materials are also popular in some homeschools. The Montessori method emphasizes “errorless learning” where the children learn at their own pace and in that way develop their full potential. 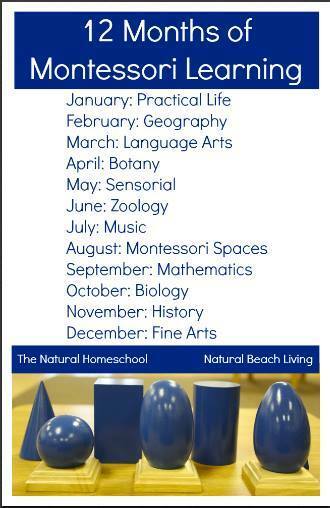 The Montessori homeschool emphasizes beauty and quality and avoids things that are confusing or cluttered. Wooden tools are preferred over plastic tools and learning materials are kept well organized and ready to use. For help, the Montesorri homeschooling family would turn to their library to read books about the Montessori method. They might also contact a Montessori school in their neighborhood for suggestions and guidance. According to Montessori philosophy, children should be allowed as much unscheduled time as possible in order for them to learn to manage their own time. Children are also encouraged to select their own learning materials and to learn at their own pace, believing that children will be drawn to what they need. A “practical life” area, which promotes activities such as pouring, spooning, and food preparation, and includes child-sized buckets, brooms, and mops for cleaning up. A “sensorial” area, which includes such items as wooden blocks (that teach size comparison), different scents for smelling, and colored tablets for learning about colors. A math area, which includes hands-on materials like number rods, sand-paper numbers, and colored beads for counting. A language area, which includes sand-paper numbers, a moveable alphabet, books and phonics materials. A “cultural” area for history and geography, which includes globes, map puzzles, time-lines, books and pictures about different cultures, and the Montessori “Peace Curriculum” (a course on conflict resolution for children). A music area, which includes bells, and a variety of rhythm and other instruments. An art area, which includes drawing materials, prints from a variety of different artists (including the Masters), and craft and sewing supplies. Multiple Intelligences is an idea developed by Howard Gardner and Harvard University’s “Project Zero.” The belief is that everyone is intelligent in his or her own way and that learning is easiest and most effective when it uses a person’s strengths instead of their weaknesses. For example, most schools use a linguistic and logical-mathematical approach when teaching, but not everyone learns that way. Some students, the bodily kinesthetic learners for example, learn best by touching and not by listening or reading. 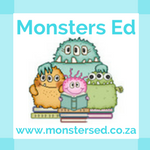 For example, an active, hands-on learner, who has a hard time sitting still to read, may prefer to listen to audio versions of classical children’s books, while drawing or building things. Or, you may have a voracious reader who learns best by reading and then writing essays to show what she knows. Most successful homeschoolers naturally emphasize their children’s strengths and automatically tailor their teaching to match the child’s learning style. Successful homeschoolers also adjust their learning environment and schedule so that it brings out the child’s best. For help, the family using the “multiple intelligences” model would turn to books about learning styles. The goal in “Multiple Intelligences” homeschooling is to adapt scheduling and materials so that they bring out and work with the child’s natural strengths. 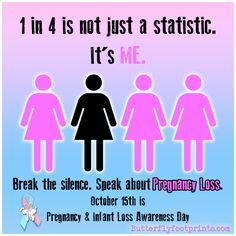 Reading: One child may begin reading at age five, another child may not be ready until age seven. 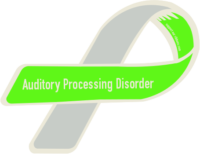 One child may learn best by being read to or by listening to audio tapes, another child may carry a book around all day. Writing: One child may like to write with a pen or pencil, one child may prefer typing their work on a computer, and another child may feel frustrated by the writing process and prefer to give oral reports of what they’ve learned. Math: Some children learn well from workbooks, other children prefer using hands-on manipulatives like beads or fraction rods. Still others, do math quickly and easily in their head and feel frustrated when forced to answer problems on paper. Science: Almost all children learn science best by having plenty of hands-on experiences. History/Geography: Children learn best by “doing,” so families plan activities where the child can experience for themselves the clothing, food, and music of a particular era or culture. Music/Sports/Arts: Families expose children to a variety of experiences, watch to see which activities spark their children’s passion, and then support their children in that activity.